Am I ready to take Chemistry? 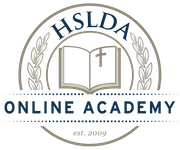 Before taking Chemistry with HSLDA Online Academy, students should have completed Algebra 1 and Geometry. In addition, students will need to be able to read and write at the 10th grade level. Prior lab experience is not necessary for Chemistry.